Mobile Car Servicing and Mobile Diagnostics Covering Wirral, Chester, Merseyside and North Wales. 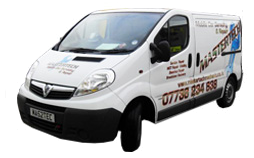 Our Mobile Car Servicing Comes to You! We at MasterTech pride ourselves as being the best mobile mechanic providing the best mobile car servicing. We have over 12 years of experience within the car, 4x4 and light commercial industry and consider no job too big or small. We are fully equipped to offer all major garage services and we offer this service to be done at a convenient place to suit yourself, e.g. at home or your place of work, at no extra cost. You are able to speak directly with the mobile car mechanic rather than going through a middleman. This allows you to explain the problem or service you require whilst they can ask you for any relevant information they may require. Breakdown services are also available. We provide mobile car servicing and mobile diagnostics to Wirral, Chester, Merseyside and North Wales but other areas would be considered.